Buying an engagement ring represents that next big leap in a relationship, and proposing marriage should not be a spur of the moment decision. An engagement ring isn’t just an investment, it’s a lifestyle change, for better or for worse. Purchasing an engagement ring should be an intimate process that allows the buyer to pinpoint his or her definition of perfection. So when is the best time to buy an engagement ring? 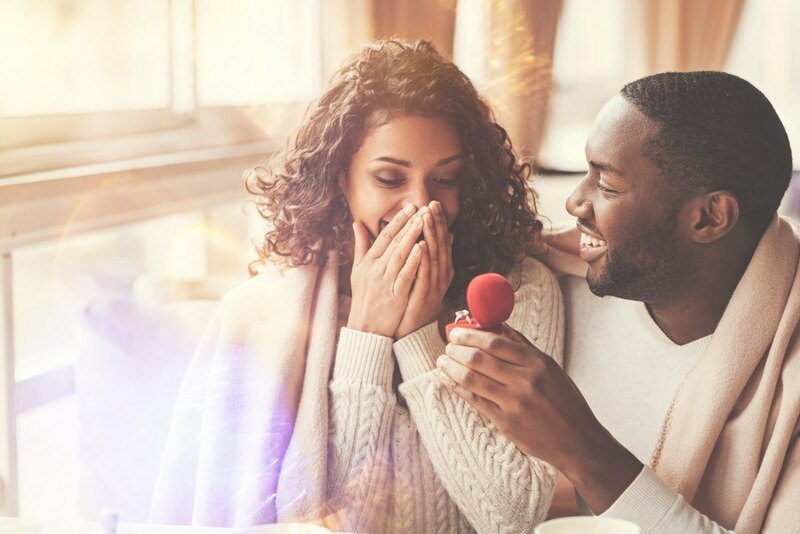 It’s true that many couples do get engaged on Valentine’s Day and around the winter holidays, but the answer isn’t so simple. While holiday sales are a good time to get a discounted price, that doesn’t mean you should rush (or delay!) the big decision. The truth is, the best time to buy your ring is when you’re ready! And when your relationship is at that solid point that you know that your beloved is “the one.” We can’t tell you when that moment will come, because it’s different for every couple. Some may experience the ah-ha serendipitous lightning bolt of love, while others may discuss and plan each stage of their relationship. Once you’re ready to propose, though, you may plan that engagement ring hunt around your—hopeful—wedding date. Couples often talk about their future together, and you may have an inclination about when your partner wants to get married. Perhaps there is a sentimental link to summer for your relationship, or maybe the changing hues of fall is a must-have backdrop for your wedding. Your proposal date guides the purchase timeline. If you’re planning your proposal, then you have an idea about where and when you want to get engaged. If you’ve made travel reservations, dinner reservations, or any other plans that are set in stone, then that ring has to be secured in time. If you’re interested in designing a custom ring, then begin the process ASAP! Allow six to eight weeks after the design process/purchase for the ring to be in your hands. Don’t plan a trip to the Mediterranean in two weeks and expect the ring to be ready in time—you may end up with a ringless proposal! Avoid the busiest shopping times of the year. Don’t hunt for the perfect engagement ring on Black Friday or during busy shopping times like Memorial Day or the weeks following Thanksgiving. And definitely go online to browse stock collections; online shopping allows you to look at your leisure. Consider pre-set designs if you need a ring ASAP! If you need that ring NOW, your best bet lies in pre-set engagement rings. This means that the design is set with a centerpiece diamond. The only downside is that you cannot choose your own center stone or be too picky about the details of that main diamond. But there are pre-set rings at all price points and carat weights. Make sure your finances are ready for the purchase. Before buying an engagement ring, you need to understand your budget and your financial bottom line. 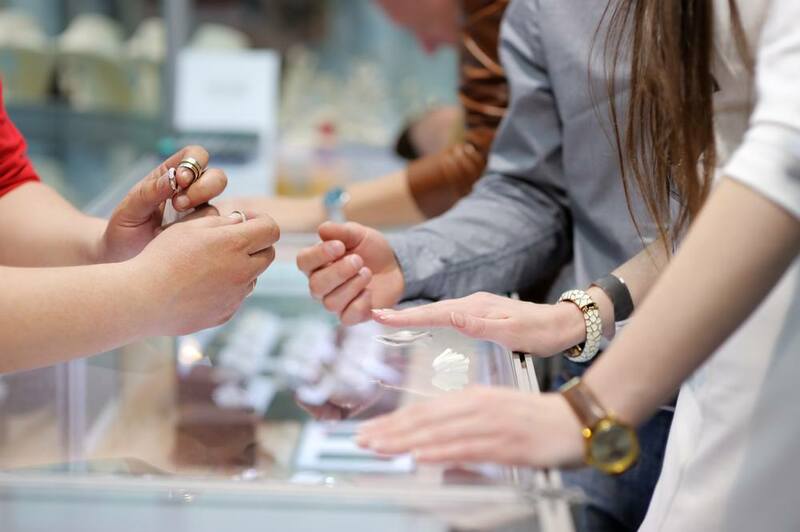 While engagement rings are available at all prices, you should not purchase a ring if you can’t make monthly payments without affecting your lifestyle. Don’t justify a purchase by pledging that you’ll give up eating out or using less electricity. Seriously, this purchase should not overwhelm your budget. Wait and save up a little extra money so that the monthly payments are affordable. Or save up to pay off the entire ring. So when is the best time to buy an engagement ring? When you know the relationship is ready for the next step! Of course, you also need to be in a place where you can afford the ring. Never shop during busy holiday sales and don’t fall for jewelry sales gimmicks. And always remember that an engagement ring is an investment—both financially and emotionally. So take your time and let your heart (and budget!) guide you to the perfect ring.